When was the last time you were made to feel special? Schaanwald Casino provides a unique casino experience at the border between four different countries. Whether you prefer to play the table games, slot machines or relax in the bar, you’re bound to be enraptured by the bright, stylish ambiance of the casino. Admission is free. We also offer a complimentary cloakroom for casino guests. Magical places are magical, with or without rules – which is why we don’t insist on a strict dress code. We kindly request that visitors dress smart casual. The Casino can be reached easily using public transport. We provide a car park and garage with free parking for those travelling by car. We have made sure that smokers feel at home here, too, which is why most of the casino is accessible to smokers. Our sophisticated air conditioning system ensures that non-smokers also have a thoroughly enjoyable casino experience. Unique in the world of casinos: playing in your own currency! Located at the border of four different countries, we want to open the doors of our casino to foreign visitors. We offer the chance to use both Swiss francs and euros to play on the slot machines and game tables. Your winnings are paid out in the same currency you play with, without losing money on the exchange. We take the protection of gamblers seriously! We insist on gamblers’ protection and responsible gambling at our casino. To this end, we have been involved with developing an extensive social concept together with the Maria Ebene Foundation, and implement this concept actively. Please download our brochure about gamblers’ protection via the link. In order to ensure that all guests enjoy their experience at our Casino, we kindly request that you adhere to the Casino rules. Every guest must show an official form of photo identification on the door. We expect guests to dress in keeping with the ambiance of the casino. The Casino can accept no liability for money or possessions that are left unattended. 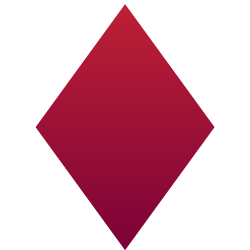 Consuming, selling, distributing or owning illegal drugs and other banned substances is prohibited on the premises of Casino Schaanwald. Are you worried about someone else’s gambling habits? 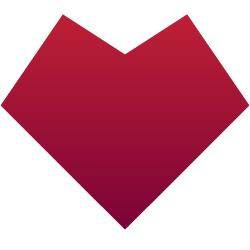 If you are a spouse or partner, relative or friend, you can – or rather, should – have an influence. Gambling turns into an addiction when a person is no longer capable of controlling their gambling habits. The desire to gamble gets stronger and stronger. Their social and professional lives fade increasingly into the background. Gambling becomes the person’s main purpose in life. This is a drawn-out process and the person involved does not often recognise their addiction until it is too late. As an immediate family member, relative or friend, you can contact us in person, by phone or in writing at any time to advise us of any behavioural changes or a change in a financial situation. Please do not hesitate to contact us. We will talk about the situation in question and work together to find a solution. Are you gambling more than you can actually afford? Has your gambling got you into difficulties at home or at work? Or do you simply want to take a break? We offer the possibility to apply for voluntary exclusion from the casino in person. Please ask to speak to a manager upon arrival in the casino. You will need to present a valid piece of identification. You will receive information about the terms for lifting the gambling ban, as well as information about external specialist counselling services available. THE VENUE: RIGHT ON YOUR DOORSTEP! 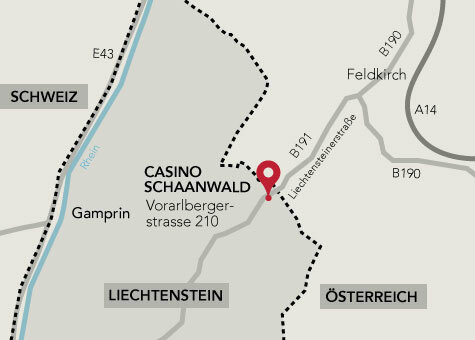 Unlimited gambling – just a stone’s throw away from the Austrian border. 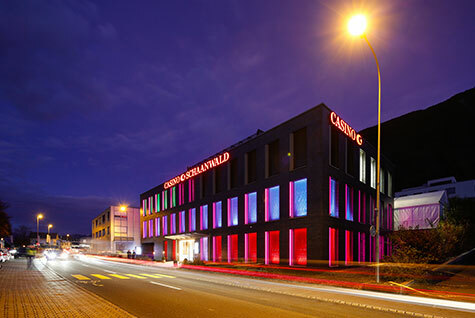 The distinctive building on the Vorarlbergstrasse was the perfect place to create this new casino experience! We have ample car parking spaces. Buses number 11, 13, 14 and 70 (Liemobil) stop right next to the casino. Sun–Thurs: 11 a.m. to 3 a.m.
Fri & Sat: 11 a.m. to 4 a.m.
Open every day: 6 p.m. to 2 a.m.
Slot machine area open from 11 a.m.